The months of September and October see the start of the new academic years at Heriot–Watt University and Loughborough University and students in our second cohort have now started their PhD journeys. Their journey kicked off earlier in September by attending our induction programme in Scotland. The weather was overcast but dry with rays of sunshine emerging for our field trip to a local castle. This did not matter though as most of the week was spent preparing for the coming four years by getting to know themselves better and each other. Members of cohort 1 joined the newbies to share their experiences of a year with CDT-EI and it made them realise how much they have achieved in just one year. 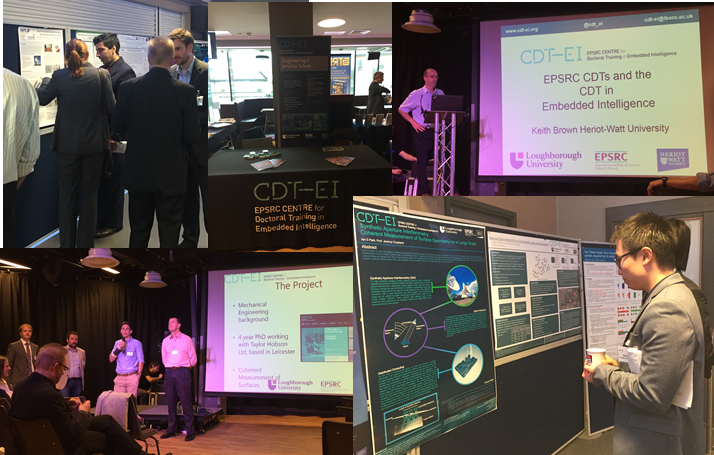 On 3rd September the CDT-EI attended The R2i Electronics Conference at the University of Sheffield. Following the success of the previous editions in 2012 and 2013 the conference provided the opportunity for the electronics manufacturing industry, research and development companies and institutional research centres to meet, review and discuss the best of the UK’s academic electronic research projects.The event was oraganised by the KTN and IMAPS UK. The overall aim was to bridge the gap between industry and research and the conference was split into four sessions, Government support for collaborative research in industry, industrial fellowships, Spin-outs and Centres for Doctoral Training. Our new co-Director, Dr Keith Brown, gave an overview of the EPSRC CDT model and explained our innovative training programme. Following Keith’s presentation one of our 2nd year students, Ian Park, described his experience of the CDT programme and explained the aims of his PhD project, which is co-sponsored by Taylor Hobson Ltd.
Last month saw all EPSRC CDT Managers and Administrators meet in London for a one day conference. The conference was organised by Imperial College London and was an informal event aimed to provide an opportunity to meet and establish contacts with other CDT administrators to discuss good practice and challenges of centre administration and management. The day started with a number of talks, including Jim Fleming from EPSRC and Alison Mitchell from Vitae. Alison Mitchell presented the outcomes of a Vitae event held a few weeks earlier that focussed on the development of researchers across doctoral training cohorts. The afternoon sessions were facilitated workshops covering the different aspects of a cohort delivered PhD training programme. The past few months have been extremely busy for our first cohort of students with preparing for their first year progress reviews, completing their 2nd group projects and finalising their assignments for the ILM qualification in Leadership and Management. 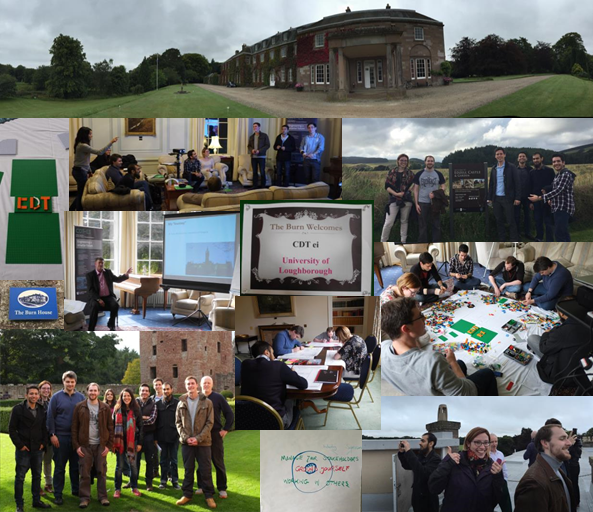 To bring the first year to a close the CDT-EI Summer School 2015 was hosted by Loughborough University and involved a visit to Donington Park. The Summer School gave the cohort an opportunity to reflect on their first year of PhD study and celebrated the end of their combined year 1 and the camaraderie they have formed. They will now return to their home institutions to continue their studies. st month saw a number of events in the UK and Europe organised by the printed circuit industry. The Institute of Circuit Technology 41st Annual Symposium brought academics and industrialist to the Black Country Living Museum in Dudley, West Midlands. Kicking off the presentations was CDT-EI and Loughborough University academic, Dr Darren Southee. Darren presented his latest research project that aimed to determine the feasibility of making rechargeable energy storage devices using mass produced printed electrodes. Later in the day CDT-EI Centre Manager Dr Donna Palmer gave a short overview presentation about the CDT and the opportunities it poses for companies to engage with the next generation of scientists and engineers in the industry. For a more information about the Institute of Circuit Technology please visit the website and to read a full write-up of the event by Pete Starkey on I-Connect007 please click here. The European Institute of Printed Circuits held their annual summer conference in Berlin at the end of June. Dr Donna Palmer (CDT-EI Centre Manager) and Prof. Martin Goosey (Chair of CDT-EI Management Advisory Group) attended the conference. The EIPC is a network of PCB professionals providing platforms to exchange business and technology information for the success of the European electronics industry. Of key signifcance to the CDT-EI were the sessions on new technology such as smart manufacturing systems and the presentations given by researchers at Fraunhofer IZM on new materials, packaging and processes for the next generation of electronics "made in Europe". The conference delegates were given the opportunity to visit Fraunhofer IZM to tour the facilities and find out about the latest research being conducted. For more information about EIPC please visit their website and for more information abotu Fraunhofer IZM vist thier website. The UK’s ability to develop and exploit the vast potential of Robotics and Autonomous Systems was given a major boost today with the formal launch of The EPSRC UK Robotics and Autonomous Systems Network (UK-RAS Network). The Network will bring together the UK’s core academic capabilities in robotics innovation under national coordination for the first time and encourage academic and industry collaborations that will accelerate the development and adoption of robotics and autonomous systems. The Network will be unveiled this evening at the Science Museum in London following a public lecture on Robot Ethics, organised by IET Robotics and Mechatronics Network in association with the Science Museum Lates and supported by the EPSRC UK-RAS Network. The founding network members are Imperial College London, Bristol Robotics Lab, University of Edinburgh, Heriot-Watt University, University of Leeds, University of Liverpool, Loughborough University, University of Oxford, University of Sheffield, University of Southampton, University College London, and University of Warwick. The Network will organise a wide range of activities including network and strategic roadmap events such as the UK Robotics conference, symposia and focused workshops, public engagement and exhibitions. It will also have extensive online engagement activities using social media and web and user forums. The Network aims to strengthen the relationship with industry by supporting interdisciplinary mobility and industrial secondment and developing proof-of-concept (PoC) projects and running design challenges. There is also a strong emphasis on government policy and high-level engagement with international stakeholders. We are delighted to announce Dr Keith Brown as the Co-Director of the CDT in Embedded Intelligence at Heriot-Watt University. Keith was until recently Head of Discipline in Electrical and Electronic Engineering and a senior lecturer in the Institute of Sensors, Signals and Systems, which is part of the School of Engineering and Physical Sciences. His research interests are in underwater acoustics, in particular bio-inspired sonar systems. This work has application in the analysis of a variety of underwater assets (to aid with their condition based monitoring) and identification of underwater objects. He is looking at new approaches to finding out the content of underwater objects using wide-bandwidth acoustic signals. He also has interests in the intelligent diagnostics and control of complex systems. This work has been applied to autonomous underwater vehicles that work in hostile remote environments with limited communications to operators. Welcome to the CDT-EI team! 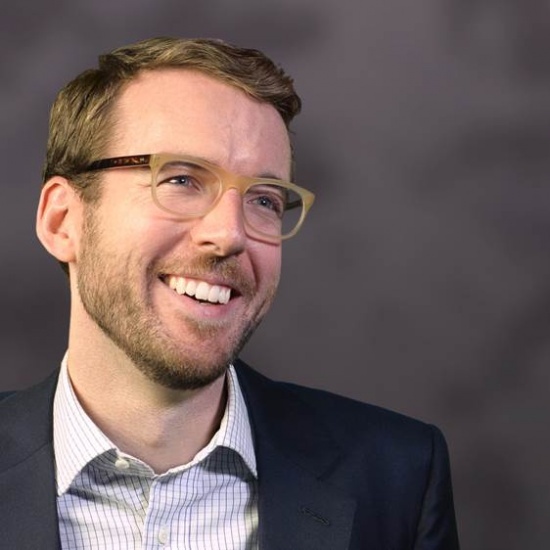 "a return to atoms: why technology's future is in physical devices"
Jon Bruner discussed the emergence of Silicon Valley's current obsession with hardware and the Internet of Things, and recent technological and business changes that have made these areas much easier to work with. If you have a Loughborough University account, you can view the lecture capture slides for the lecture here using your usual lboro log in credentials. Access for non Loughborough University Account holders will follow in the near future.